This is a longer newsletter than average. There is so much information to share which I hope will bring you some clarity and joy. As you well know, the energy has been “strange” these months. Disappointment, confusion, unexpected hard situations, and lack of direction is what many have been experiencing. In addition, very old heavy feelings, bad moods and sad memories are coming forth. This is due to the new high frequency energies coming to the earth, and all who live here. Why are high energies causing “problems”? They are not the cause of the problems. Our old heavy karma and dense energies are the “problem”. It is actually good news that they are coming up for we are being cleansed of them. The heavy stuff can not exist in the new frequency brought on by the Grand Shift of the Ages. They must be transmuted into the Light. So, congratulations for the “stuff” (or another word that starts with S) is hitting the fan and soon you will be free of it and so much Lighter. Hang in there! 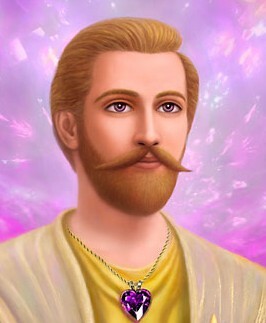 Saint Germain wishes to encourage you to double your use of the Violet Flame during this difficult transformational time. The good news is – the new higher frequency will greatly accelerate your transmutation and growth. You will soon reach new heights. Saint Germain has created a new program to help with our next steps of Ascension — the Divine Master Within. The maiden voyage is TONIGHT! Divine Master Within is an amazing system for raising vibration and increasing Consciousness that facilitates permanent, True Transformation. The whole point of this series (of 4 Tele-Classes and 2 Q & A calls) is to Awaken to Your Divine Self by finding, awakening, and ultimately merging with Your Spark of Divinity. You are meant to become the MASTER that you are. Isn’t what what we all want? What we are looking for in this lifetime? This series is quite expensive, however, I am offering it to you for a very low intro offer – because – I need your help. I want you to give me honest feedback, comments, questions, etc., to help me perfect the Divine Master Within program., so please sign up and we will help each other expand. TODAY is the middle eclipse of a trio series, for April 25, May 9 and May 24 which is also the powerful Wesak Full Moon. Very few eclipses effect the entire population. May 20, 2012 was an exception that DID effect the entire planet. The rest of them, including these three, do not. Eclipses only effect an individual who has a prominent planet, in their natal chart, that is the EXACT DEGREE of the eclipse, example 19:31 degrees of Taurus for TODAY and 4:08 Sagittarius for May 24. GENERAL EFFECTS: from my trusted friend, Michelle Karen, a spiritual astrologer. Having 3 eclipses back to back is a rare phenomenon. They project us into the future. Depending on exactly where they fall in our natal chart (map of the heavens for our exact date, time and place of birth), they indicate which areas of our personal existence are ready to undergo a profound shift. These transformations become particularly apparent within a month of the actual eclipse date and can have repercussions lasting up to 19 years of our lives. The first Lunar Eclipse occurred on April 25 in Scorpio (5º45′). Many ancient, unresolved, sometimes dark, intense, even violent emotions surfaced. We are seeing and cleansing residues from this -as well as other- lifetimes for ourselves and the collective. Unbalanced individuals could become more unbalanced. Even those who have diligently been working on themselves could occasionally be drawn into the general unrest. It is more important than ever to stay calm and centered, grounded in our integrity, master unconditional love, spend time alone, eat healthy foods, drink lots of high frequency water, exercise -in nature if possible-, breathe, sleep as much as possible and take regular naps throughout the day. The next eclipse is Today, May 9 at 5:28 PM PDT in Taurus (19º31′). This Solar Eclipse brings into focus things of the land. Everything connected with minerals, gemstones, precious metals, as well as vegetables, fruit, herbs and sprouts that we can grow ourselves is favored. Honoring Mother Earth and spending time in Nature is called for. A time to become more self-sufficient and clear out of our lives anything that is not in alignment with our highest purpose. It is also important to count our blessings, keep a gratitude journal and focus on the talents we can tap into to manifest more financial resources while appreciating the abundance that is already in our lives. It brings healing to the divine feminine, enhances our self-esteem, and self-respect. It leads us to a deeper understanding of the need to fall in love with ourselves to either bring more harmony to an existing relationship or magnetize the partner who will further nurture our soul and enrich our life. The last eclipse will be felt on Friday May 24. This Lunar Eclipse in Sagittarius (4º08′). It brings to the surface areas of ourselves that were hidden. Resentments, frustrations, jealousies, hostilities, even violence in some cases, could emerge, giving us a chance to clean the old, once and for all. This eclipse also talks about the need to separate illusions from reality. There is a fine line between falling prey to wishful thinking which leads to no-thing, and dreaming our reality into being through which real changes manifest in our world. A time to clearly walk our talk and embody our spiritual beliefs in our daily lives. This Full Moon reminds us of the importance of being impeccable in our self-expression and to remember the power of our words. Focusing on the positive empowers it. New situations are likely to abound, keeping us on our toes. Exciting domestic changes could occur, bringing into our lives wonderful new people who open us to new horizons and a greater sense of freedom. We may also feel the need for quiet, meditative spaces that allow us to spiritually regenerate. And last, but certainly not least — the Awaken to Happiness Now Global Summit! I am blessed to speak at a new tele-summit series whose purpose is to transform our lives into wellness, joy and abundance. The founder of the Awaken to Happiness Now Global Summit, Shefali Burns, has gathered over 33 fantastic speakers who will reveal their tools and techniques to help you increase the amount of happiness in your life. When you increase your happiness, you radiate this to those around you, and the result of this is an overall increase in the happiness level of the world. How great is that! This incredible series starts on May 21 and I AM HONORED TO BE THE OPENING SPEAKER! After my interview, there will be time given for questions and answers. In addition, I will present a new Activation. When you sign up for the Summit, you will receive a free “Happiness Kit” so make sure to sign up today and share this information with everyone you love. Well, I warned you that this was a long one! As your reward for reading to the very end – I offer you, for the month of May, the month for Love – the Twin Flame Ray GemEssence at a sale price. . . just because I love you..
NextMeditation for Syrian Conflict at 4:25 PM PST – DO NOT FORGET!!! !